I concur most heartily with Paul Courtel’s letter re bringing back the Roaring Twenties event to Bexhill. I decided to go and see what the Great Gatsby event had to offer. But what a disappointment. It was a very depressing sight as I walked the length of the Metropole lawn blanked off by tall screens. I braved it and walked round to the paid-for entrance which was prohibitive and uninviting with little going on that I could see and hardly anyone going in. I arrived at the De La Warr terrace just as a ballet was finishing. My attempts to find out what else was likely to take place proved futile. There was no signage, or programme, outlining the afternoon’s proposed entertainment. I hung around for a bit in anticipation but nothing seemed to be happening. There were just a couple of drink stalls and a merry-go-round for toddlers and as usual a handful of classic cars. I went home that Saturday via Devonshire Road which was exceedingly quiet. It would be interesting to learn how retailers and restaurateurs fared this year in comparison to previous Roaring 20s weekends when Bexhill seemed full of locals and visitors. 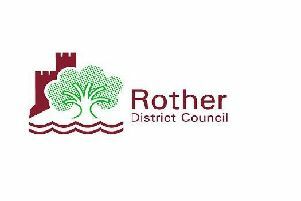 Swallow your pride Rother Council and admit you made a mistake in not supporting the Roaring 20s event whose organisers knew how to make a mark for Bexhill attracting visitors, participants, entertainment all backed with relevant stall holders.